A career in Mental Health can be extremely rewarding – helping others improve their quality of life and keep mentally and emotionally healthy is a topic that Integrative Health Expert and Clinical Psychologist, Leanne Hall knows a thing or two about. Here, she enlightens us on what the Wraparound approach to mental health is and reveals why it works. A career in Mental Health can certainly have challenges. Many of these challenges lie around the limitations associated with direct service delivery, a perceived lack of resources, and inadequate staff support (leading to burnout). It may even make you reconsider your career choice! However, the fact is many of these challenges derive from the old school idea that health services and support systems work in isolation – with each offering something unique to the client. This way of thinking and working allows for services to become specialised which certainly makes sense in one way. However, when mental health services and systems become highly specialised, in many cases they become more “exclusive” as the referral criteria for admission gets shorter and the exclusion criteria grows longer. This can be a constant source of frustration for those involved in mental health service delivery and quite confusing for families and individual support carers. This is why in the 1980s, a system of “care planning” was developed, which specifically was designed to meet the needs of children and youth with serious emotional disturbance. We refer to it today as "wraparound care". Since then, wraparound care is now used in many complex needs cases. Although research is yet to back its application (due mainly to methodological limitations), anecdotally, it really does seem to address many of the challenges associated with working in the complex-yet-rewarding field of mental health. What is wraparound care and why does it work? Wraparound care is not formal or standardised in the same way a treatment approach is. It is highly specific and unique, developed exclusively with the client’s individual needs as the focus. In wraparound care, a team of individuals who are relevant to the wellbeing of the client (and who each have a different background and expertise) collaboratively develop and individual plan of care, and then implement and evaluate the plan over time. 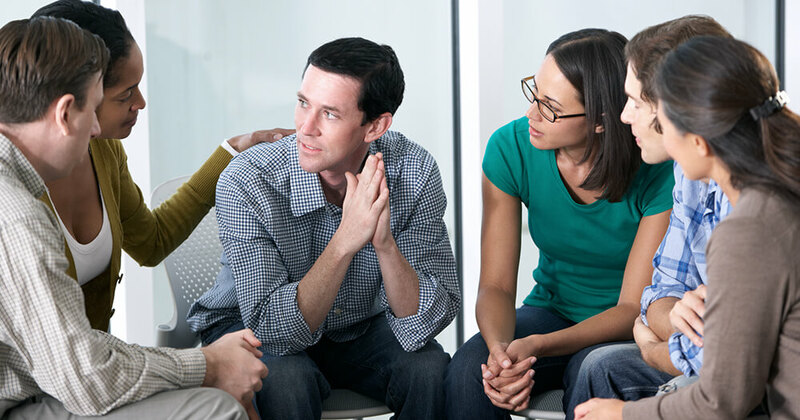 This is facilitated by a Case Manager or Care Manager, usually a Community Support Worker or a Counsellor, who co-ordinates the treating team and facilitates communication both between team members and with the family. In fact, the family and carers are an integral part of the wraparound approach. Part of the purpose of the wraparound approach is to provide support to family members and other key individual supports and carers. The main limitation associated with this type of mental health care planning is around communication and co-ordination and recognising and valuing the strengths of each team member. However, a good Case Manager can facilitate this, irrespective of whether teams are co-located or not. Wraparound teams also require access to flexible resources and a well-developed array of services and supports in the community. Although this in itself may sound challenging, there is comfort and reassurance in working as part of a team – and sharing both the positive aspects and the frustrations associated with working in a complex mental health system. Although many of us working in the mental health and/or counselling industry can appreciate the limitations of wraparound services, there are some truly remarkable benefits for the clients and the industry as a whole. Let’s consider the relative effectiveness (as well as cost-effectiveness) of having many “heads” working together to resolve issues, all with a common aim of helping to improve the mental health of a shared client with complex needs. One study clearly showed the positive after-effects of participation of children in a wraparound program, with increased potential for long-term social inclusion through employment and further education. And secondly, a team approach, which values family and carers as key members also provides support to non-professionals involved in client care, which in turn, provides support and facilitates the treatment approaches of professional team members. When it comes to clients with complex needs, wraparound care should always be considered as an approach to care planning. Despite the perceived challenges of this type of approach to mental health treatment, access to flexible resources and a well-developed array of community support can truly benefit people with complex health needs. Compared to traditional health treatment plans, the wraparound process is more relevant and holistic to the client and their family. Besides the fact you’re doing meaningful work, you’ll feel so fulfilled when you see your clients progress and work towards their goals. You’ll be able to share those highs as a team, knowing you’re making a difference in a vulnerable child or teen’s life. While the wraparound approach certainly has limitations, the imminent reward of helping clients in need will outweigh any of the challenges you face.